Depending on the service, campaigns can send emojis, photos, videos or meme-filled GIFs, and they’re using the texts to help register people to vote, organize events, raise money, recruit volunteers and spread advertising. While campaigns say texts have a higher return on investment than other types of messages, political texts have bugged plenty of people this year, according to complaints they have posted on social media. “If annoying text messages from strangers is the future of politics, I’m not optimistic,” Webster tweeted. Texting firms counter that despite the grousing, their services work. Hustle says that its texts get twice the response of phone-banking calls to mobile numbers, and 36 times the response that emails do. It also says its service has been used to counter voter-suppression campaigns by spreading accurate information about voting. Gillum, the Tallahassee mayor who won his party’s primary in a crowded field in August, turned to texting in part because of its lower cost, while other candidates spent heavily on television. 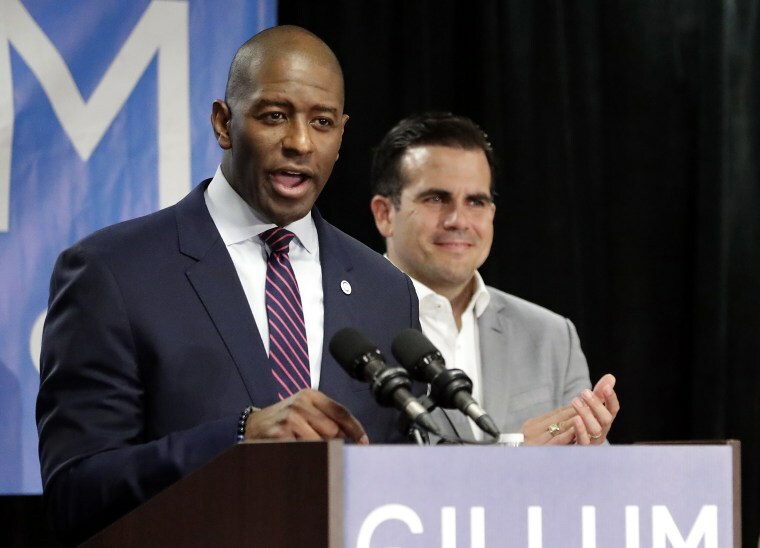 “We had to run a leaner, meaner campaign,” said Kevin Cate, an adviser to the Gillum campaign. Though the campaign is now better funded, it is still using person-to-person texting and said it would use it through the Nov. 6 election. Democratic campaigns, including those of presidential candidates Hillary Clinton and Bernie Sanders in 2016, appear to have seen the potential in peer-to-peer texting software sooner than some Republicans, but any advantage has likely disappeared, people in the industry said. “Most Republicans got into their head, truthfully, that if you robo-text someone without their permission, there could be hefty fines,” said Thomas Peters, founder and CEO of RumbleUp, a firm that works with Republican and conservative clients. “No one really wanted to be the first,” but 100 clients have since used RumbleUp’s service, he said. Gary Coby, who helped run digital advertising for President Donald Trump’s 2016 Republican campaign, this year called texting the most efficient way to contact voters in part because texts are well read. “How many unread emails do you have? How many unread texts do you have? Text is king,” he tweeted in August. He has helped found a texting firm of his own. Texting is also different from the shouting matches that can take place on social networks such as Twitter or Facebook. For the midterms, the technology is being deployed by everyone from big national committees to pop-up volunteer organizations. Brooklyn-based Build the Wave is trying to harness Democratic anger at the Trump administration to boost voter turnout this fall, largely through texting. It has 2,000 volunteer texters and has sent more than 800,000 texts this year, including 30,000 texts to Pennsylvania voters on the day of a special House election there, said Nate Lerner, the executive director. Commercial businesses aren’t allowed to text someone they don’t have an existing relationship with, but that limitation doesn’t apply in a political context, so campaigns can buy lists of potential supporters and text them as long as the texts are person-to-person. In May, the P2P Alliance, an industry trade group, wrote to the Federal Communications Commission arguing that person-to-person texting was lawful and asking that the commission explicitly say so. The FCC hasn’t ruled on the request but has sought additional comment. Barring a regulatory crackdown, though, or a change in how people keep in touch with friends and family, consultants said they expect the use of texting platforms to keep rising. Do you know the high-scoring words that won this year’s Scrabble world title?